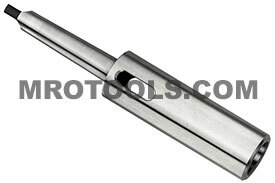 Extend tool lengths and application distances while adapting for increases or decreases in applied tool morse taper sizes. Externally precision ground with hardened tang. The 30451DN Jacobs Extension Socket, Morse Taper, Archer Series is one of thousands of quality tooling products available from MRO Tools. Please browse Jacobs Extension Sockets, Morse Taper, Archer Series 800 for tools similar to the 30451DN Jacobs Extension Socket, Morse Taper, Archer Series. 30451DN Jacobs Extension Socket, Morse Taper, Archer Series description summary: Jacobs extension socket, morse taper, Archer series. 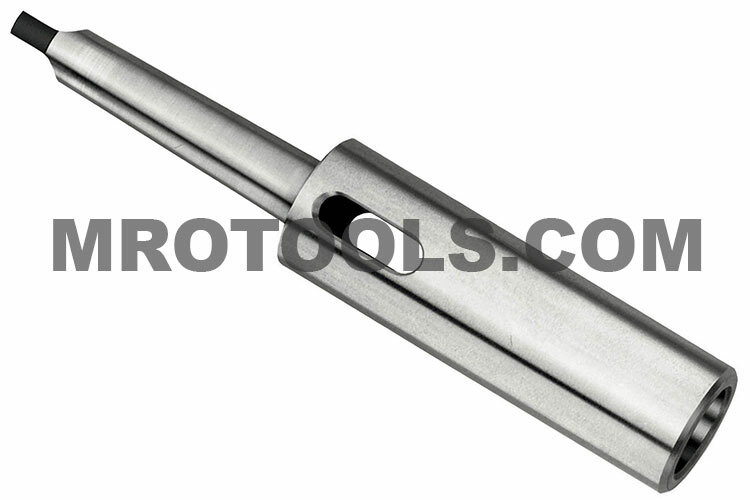 Model Number: 834 Morse Taper Number Outside: 3 Morse Taper Number Inside: 4 Overall Length: 9.45'' Outside Diameter: 1.89'' Socket Length: 5.39'' Quantity discounts may be available for the 30451DN Jacobs Extension Socket, Morse Taper, Archer Series. Please contact MRO Tools for details.